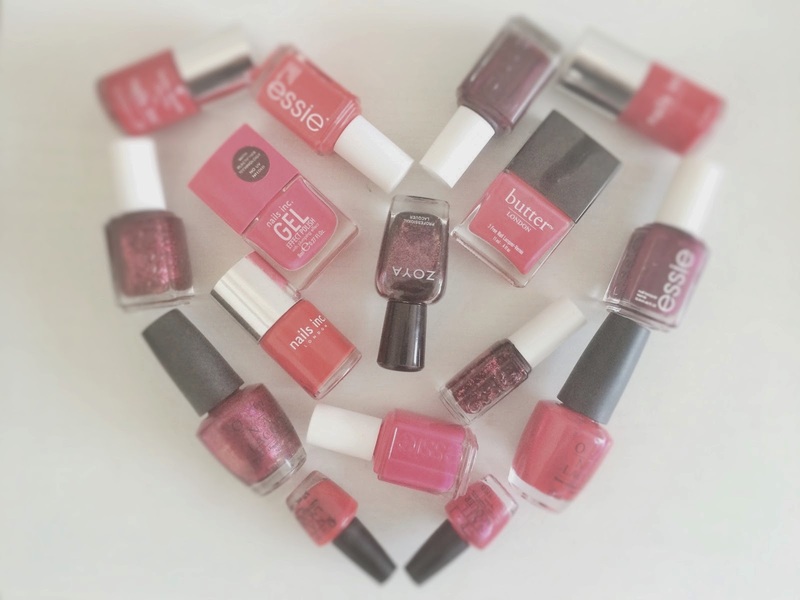 The other day I was tagged by the lovely Bee over at The Beauty Locker, to do this nail product addict tag. When I was notified by her I couldn't wait to get stuck in ..thanks Bee. This tag was also created by A Simple Mix. This has got to be O.P.I Nail Envy, it was quite pricey so I was really hoping it was worth the money, and boy I wasn't disappointed! it has totally transformed my nails, they now grow a lot longer than they ever have done as well as being really strong healthy. I really recommend this nail treatment! O.P.I - I have so many polishes from this brand, they just never disappoint. O.P.I last for days on my nails without chipping, their brushes are amazing for easy application not to mention the huge shade range along with the clever pun's they add to the colours, I cant fault this brand. Chanel - Probably the most chic polishes I own and the ones I have to have out on show, I just adore the bottles of these. I really enjoy their limited edition collections as they always seem to bring something different to the table shade wise, the formula is beautiful too. Models Own - They are amazingly priced and the quality of these are superb! they have a great shade range and last ages on my nails before any signs of chips. Barry M Gelly Shine - Again brilliant pricing, the gelly shine is my favourite from the line because of its high shine finish and I'm all about those glossy nails. Most Disappointing Nail Polish / Product? A lot of people may be shocked to read this because its such a popular nail brand but I just cant seem to get on with Essie polishes, don't get me wrong I love their nail shades and seasonal releases; hence why I own so many, they just don't last on my nails what-so-ever and its such a shame. Base Coat Yes or No? Sometimes - At the moment I'm using my nail envy as the base of my polish, but if I'm not using that I occasionally wear one if my nails have any ridges just to smooth out my nails more. White / turquoise or anything neon - i just think these kind of colours compliment a tan perfectly. Berry's / ox blood red's / Navy - Probably my most favourite seasonal nail colours I just think they look super chic, last winter i was contantly wearing O.P.I Lincoln Park After Dark and Chanel Rouge Noir. I'm still not sure on all these new nail effects that are about such as the matte and magnetic's.. I only ever seem to wear glitters at Christmas time and I went through a stage last year of only wearing nail art now I have to have them completely plain, yet super glossy (thanks Seche Vite). That my friends is end of question time, I now tag the following to give this a go..
What are your thoughts on the above questions? I would love to hear from you. I am a massive nail polish addict. I can't go to the store without buying a new polish! I would love to do this tag, if you don't mind! I love it!